Your little lad will look handsome in this US made 5 - piece knicker set from Just Darling. The brown plaid 100% polyester material has a handsome menswear suit look and feel. Really nice - and different. 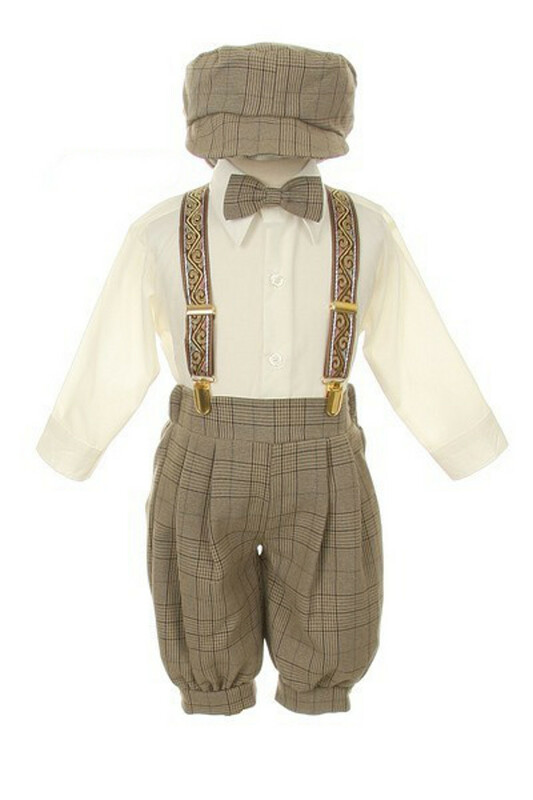 He'll look like a little man yet be his small self in the vintage 20's style knicker set. The set includes the knicker pants, bow tie, cap, swirl pattern grosgrain ribbon suspenders and an ivory long sleeve dress shirt. If your little one is between sizes order a size up!